Holiday Video Treat Just for You! 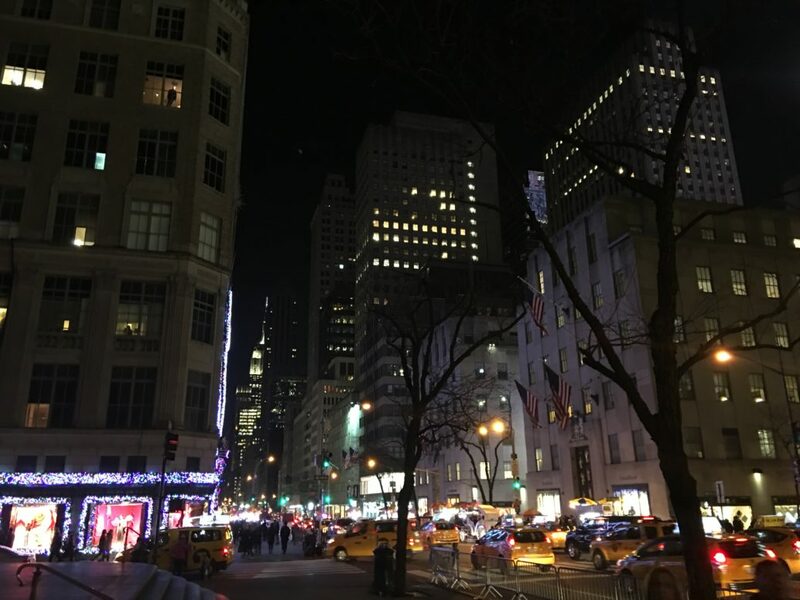 As a native New Yorker, I can tell you that nothing compares to being in New York City over the holiday season! I’ve visited New York a few times during the past several weeks for a bit of work and play. And I was particularly excited about my last visit! With it being just a few days after Thanksgiving, the city was adorned with holiday trimmings and the scent of roasted chestnuts filled the busy streets. I was most excited about nighttime because this is when you see the city in all of its glory. The holiday lights bring the city to life and creates an air of warmth, goodwill, and holiday cheer. I became nostalgic reflecting on lovely memories of my childhood. Each year my mother and I would ice skate at Rockefeller Center, spend hours at FAO Schwartz playing with toys, and stroll down Fifth Avenue to adore the beautiful holiday window displays (especially at Bergdorf Goodman and Saks!). This season, I’d love to share a bit of New York’s holiday glamour with you! One of the highlights of my last trip was visiting the Saks Fifth Avenue holiday window display. They really brought it home this year with nearly 30 gorgeous windows highlighting top designers’ creations amidst a sea of candy, sweet treats, and animated delights. In fact, this year’s window display theme is called Land of 1000 Delights! Of course, the fashionista in me couldn’t resist capturing each window display for my inspiration and style archives. I wanted to share these beautiful images with you so I created a short video showcasing Saks Fifth Avenue’s Land of 1000 Delights designer windows. I hope you enjoy and Happy Holidays!